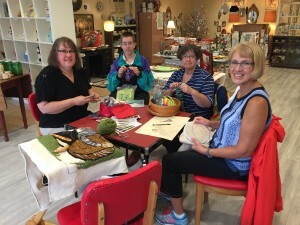 SOFAAR invites you to a BYOP (Bring Your Own Project) gathering on July 26, 6 to 8 p.m., upstairs at ARTsPLACE (396 St. George Street, Annapolis Royal). This is a time to work on your current project, maybe get some help with a snag, and visit with your fellow SOFAAR members. For those participating in East Meets West, this is an opportunity to get any questions answered about finishing, hanging sleeves, etc., and/or to submit your work. 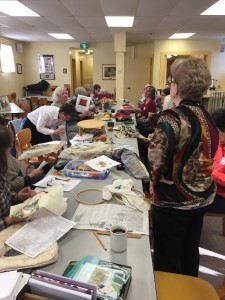 If you are putting a piece or pieces in the Members’ Exhibit (due date August 16th for submissions) and you would like that photographed for the submission, please bring along that work as well. Céleste will be on hand to answer questions about this exhibit.